Have you ever just sat somewhere and watched everyone around you? We tend to always want to rush into things no matter where we are going or whats happening next. Speeding while driving or even running even to the car from the grocery store when we have nowhere special to be. Psychology today shows that humans are always planning whats happening next no matter what they’re doing. If that be planning your day while drinking you’re first cup in the morning, or while driving to work. Our brains never stop planning and creating our next move. Self-care is important because it is a healthy way to calm the body and hormones. Our bodies can be feeling overwhelmed and over worked while we don’t always tend to notice it. As humans we seem to worry or stress over things we have no control over. With that being said, I have found in the past couple of years, that self-care is very much needed in my weekly routine. 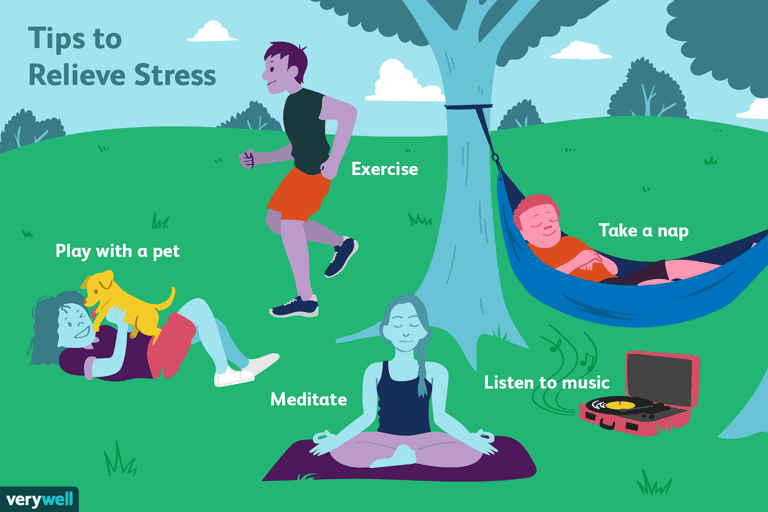 It not only can be used to make you feel good and well rested, but it can also be a healthy way to relax yourself when needed. While being a student I tend to normally get stressed over school work (like most people do). So teaching myself some self-care is one of the best ways to relieve my stress. If that means taking my dog for a long walk along the beach, or even just lighting a candle and having a cup of tea with a good book. You just have to find that balance of something you enjoy doing and something that is calming to your emotions. You want to find an activity that truly makes you feel better about yourself. I have attached a link to a website I have found of 70 ways to relieve stress. We tend to always have excuses not to do things because we never have enough time in the day. But when it comes to taking care of yourself, you need to create time. If that means planning a meditation just before you go to sleep, or waking up extra early in the morning just to hit the gym. You’ll need to create time in order to do achieve these activities. From my experiences I have put so much time and effort into making myself feel good and self loved. I am not telling you all these things just because I want something to write about. I am telling you these things because I know they actually do work. I suffer from an Anxiety Disorder, creating a mindset that isn’t always flexible with how I am feeling. I sometimes find situations difficult and need to calm myself down in order to settle my mind. So I have personally tried many of these activities and know they do work. With that being said though, you need to find what suits you best. Everyone is different and handles things in their own unique way. So feel free to take as much time as you may need to figure out what makes you feel best. Showing yourself love and care is so in creditably important I can’t tell you enough times. Please take care of yourself. I hope this blog has helped you find ways to show yourself self-care. If you have any questions for concerns please feel free to comment below and I will be happy to reply back to you. Thanks. The day of prom is a day that many girls dream of as they get older. Plenty of time spent shopping and finding the right accessories to match the outfit, finding the right date to go with, getting your makeup done like a queen… etc. This photo just below is me on the day of my prom. I had gotten photo’s done before the night began. I also chose to go without a date but with close girlfriends. Nobody was really seeing anyone at the time, so it was a good choice. We ended up splinting the price on a limo, while doing a mini photo shoot at a friends just before leaving for prom. Prom is one of those days you feel like the prettiest girl in the world. Showing everyone around you how stunningly fabulous you are. My dress was from a family friend. I needed a dress and was having a hard time finding one that felt good and held everything in (if you know what I mean;). I had gone to a family friends for dinner and the topic happened to come up. Shortly after that I started trying on dresses, I came across this one. I laughed at first because it was so bright! Where normally I am a darker tone kind of girl when it comes to clothing. My friend suggested I try it on, and as soon as I got the zipper up I knew it was meant to be. It was beyond comfortable and just felt like my kind of dress. I strongly believe in trying clothes on before judging them since than. You never know, something could be the ugliest on the hanger but beautiful on. So if you’re a young girl getting ready for prom my only advise would be to just have fun with it. Prom isn’t meant to be stressful or overwhelming. Its meant to have fun and enjoy the years you’ve spent studying and growing up. If you are a girl that is going into prom season and you are struggling with finding a dress or anything else, please feel welcome to comment below and I would be happy to help you out! Welcome to my blog! I am happy to share I am joining the blogging world. I will be creating magical blogs about different types of things. I have so many things to share with you and learn about. Why not create and learn together right?